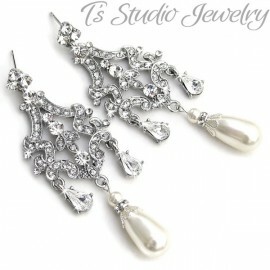 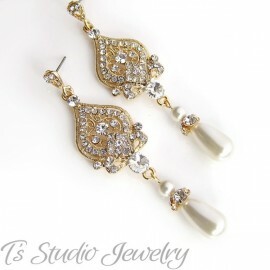 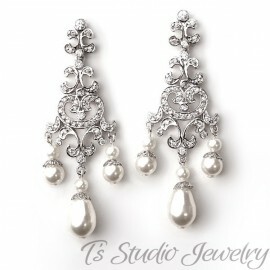 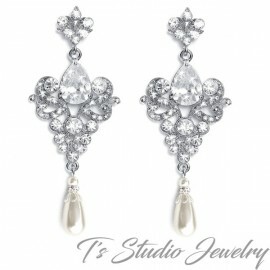 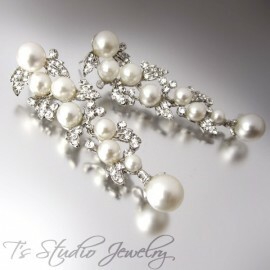 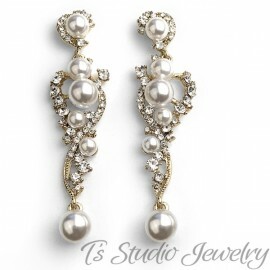 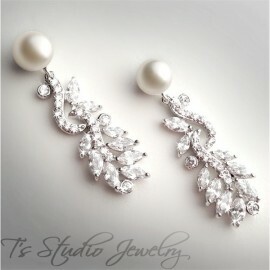 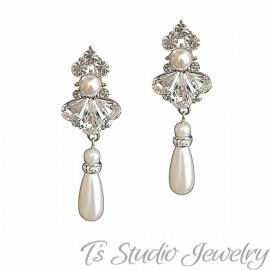 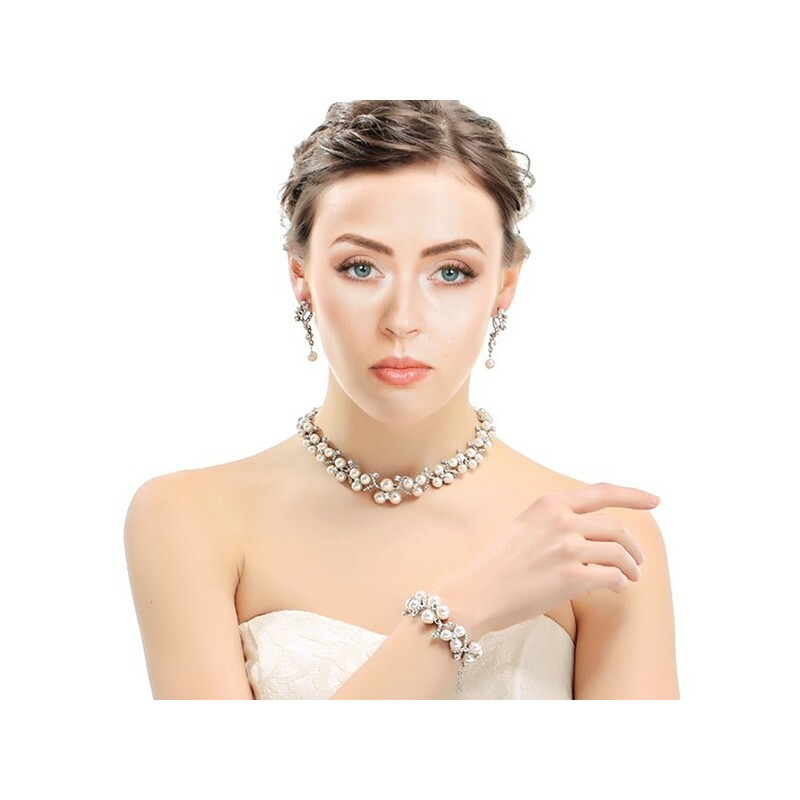 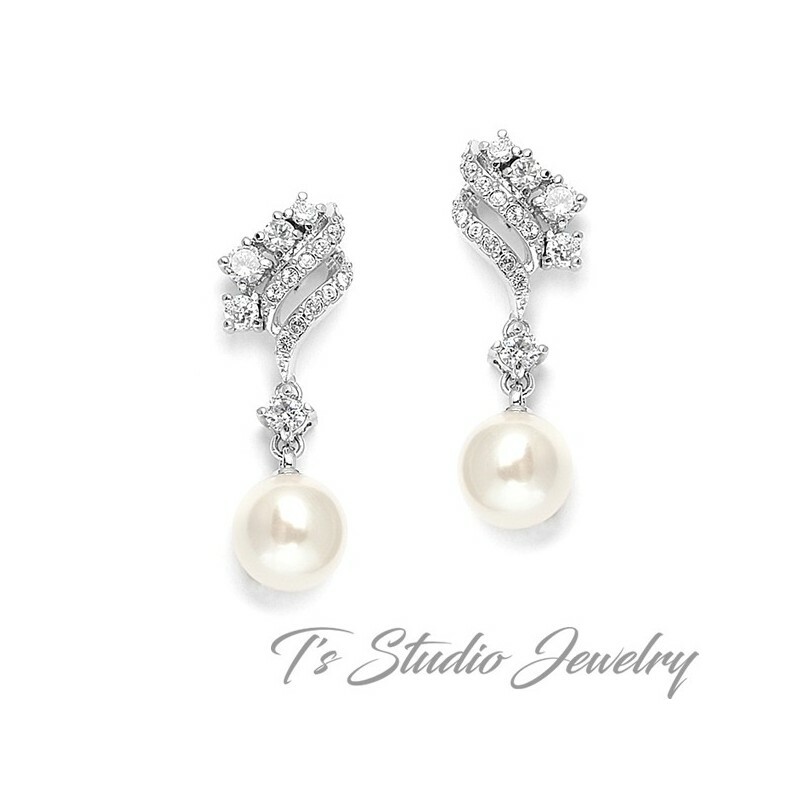 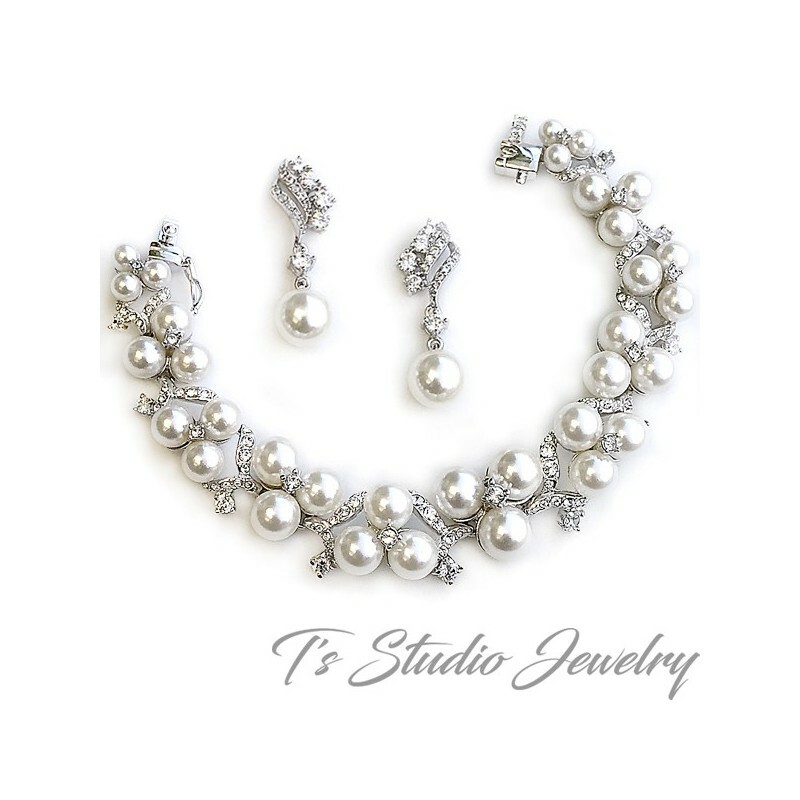 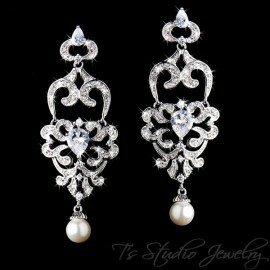 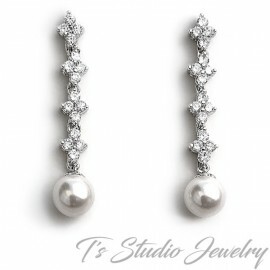 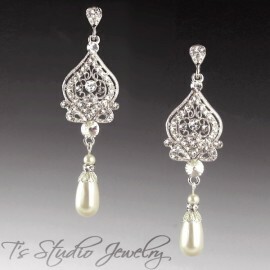 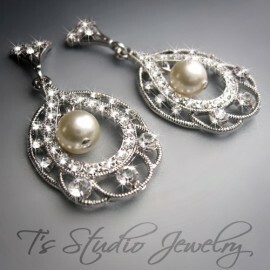 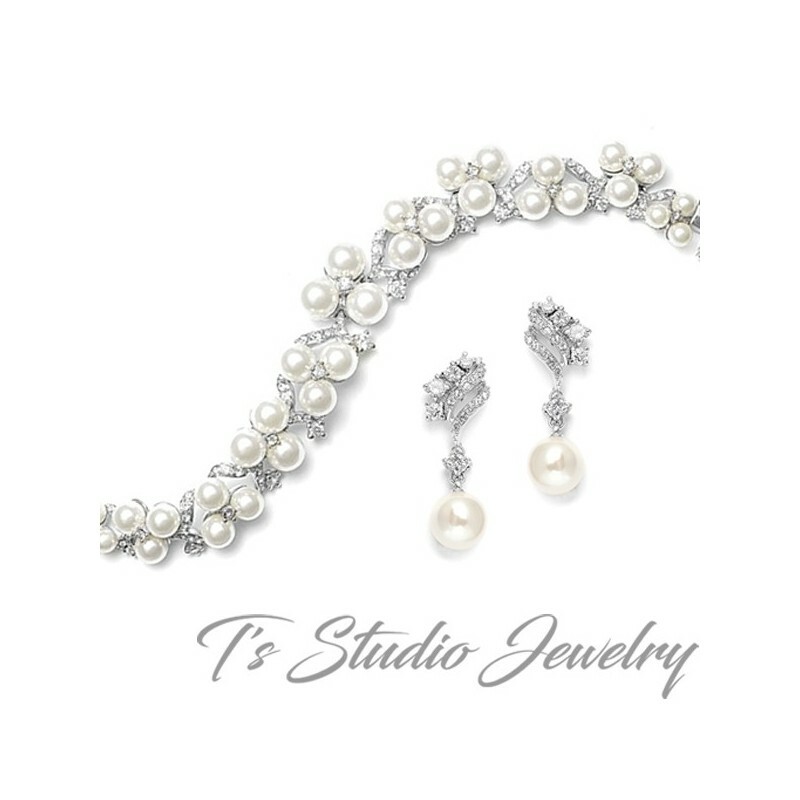 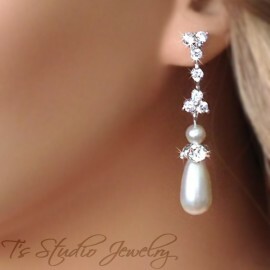 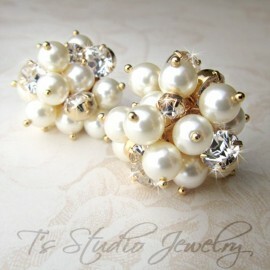 Classic pearl and cubic zirconia bridal earrings feature a wave of crystals in a silver rhodium base. 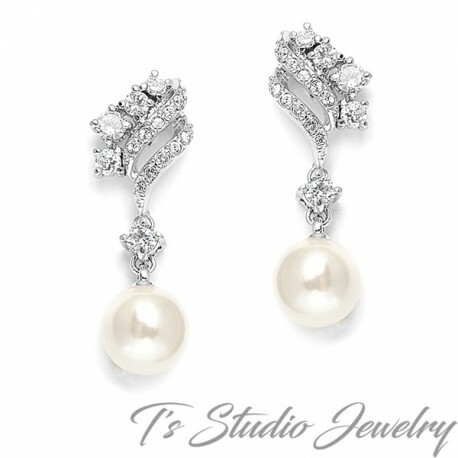 A solitaire soft ivory pearl dangles from the stud post earring component. 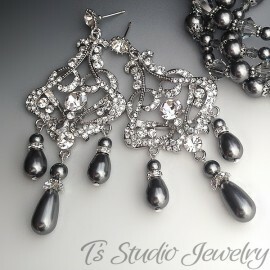 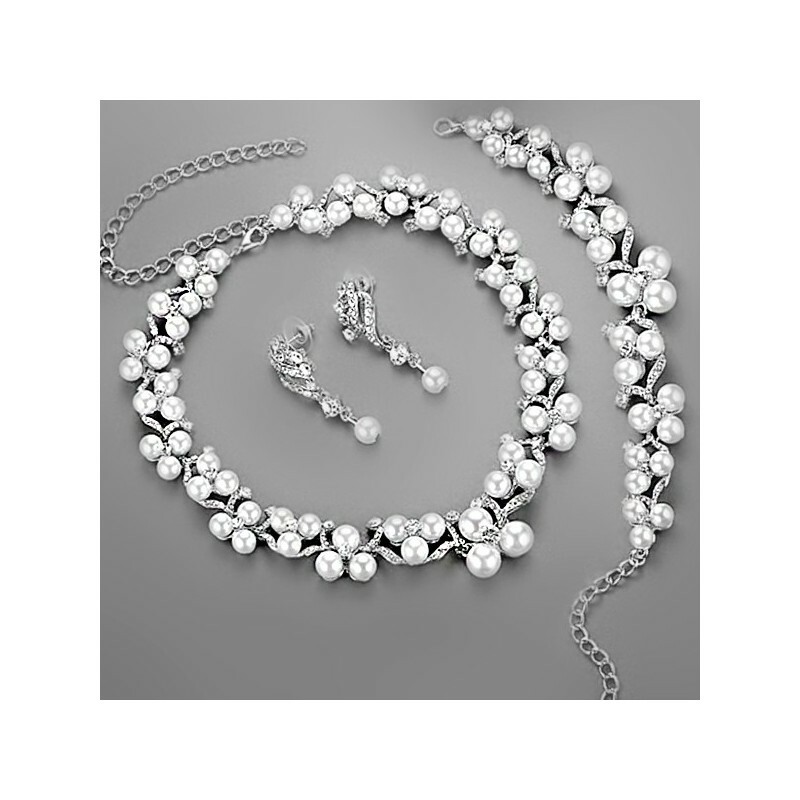 Also sold as a 2-piece set with matching bracelet, or a 3-piece set with necklace and bracelet.